Buying a home is one of the biggest and most important decisions you will ever make. Ensuring you are getting the home of your dreams and at the right price is very important. The first step in guaranteeing that you are making the right choice is by getting a professional home inspection done. My Promise to You: Choosing the best Yuicaipa Redlands home inspector can be a confusing and hard decision. But I promise that I will treat your potential new home as if I was going to buy it and give you the very best. I want you to have excellent peace of mind with your new purchase. This I promise to you. 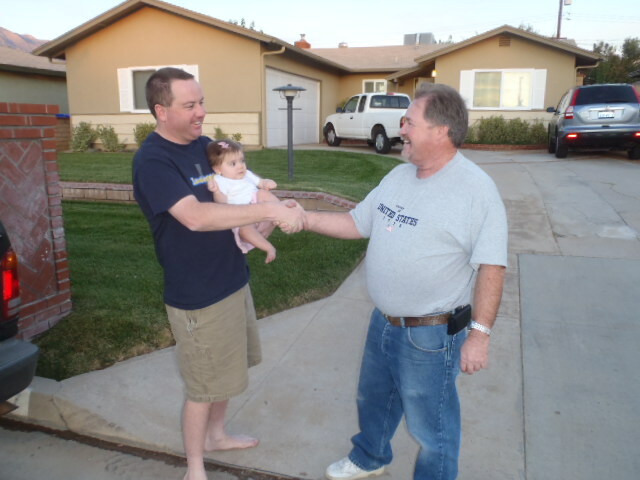 Tim Hemm Inspections is a premier Yucaipa and Redlands CA home inspection company. We provide the highest quality home inspections possible. We are certified by CREIA,ASHI and the International Code Council and are qualified to to conduct home inspections in California. Our home inspections are in-depth,detailed and very thorough. We cover every part of the home, inside and out. No corner is left unchecked.We understand that buying a home with defects can cause future problems and cost alot of unnecessary money. We serve Yucaipa, Redlands, San Bernardino, Riverside and the surrounding areas. We are passionate about our work. We are dedicated to giving our clients the assurance in knowing that it is either a good buy or a good decision Not to buy the home. you may be able to find many other house inspectors in Southern California, but not all will treat you with respect and give you the honest answers you are looking for. I work for You not the agent or seller. This is what Tim Hemm Inspections guarantees, a complete and thorough home inspection by a truly certified inspector.